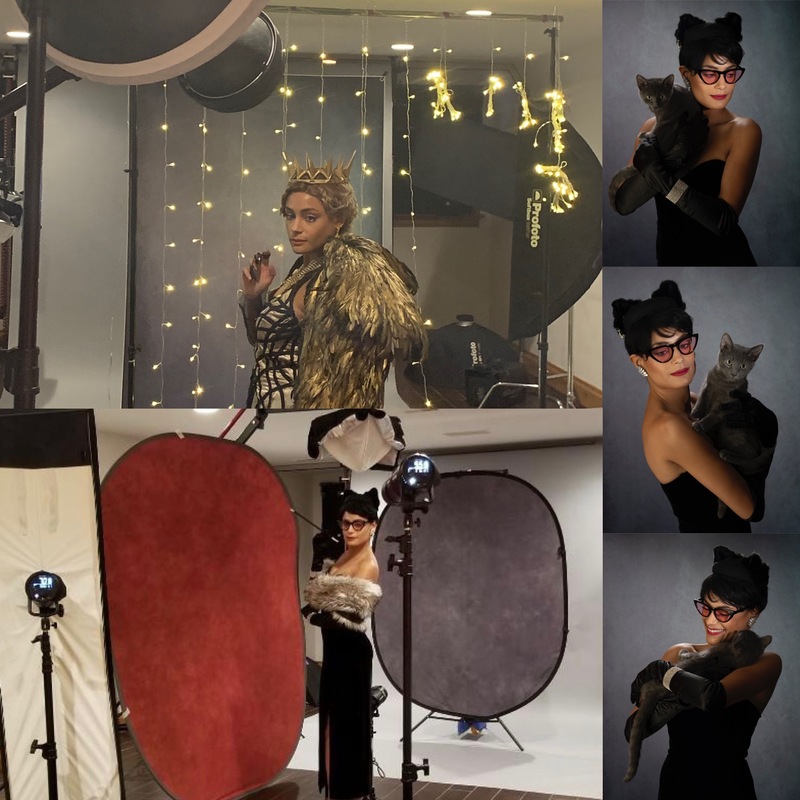 I had an amazing time this weekend at my studio photographing Duchess Designs Cosplay (Facebook and Instagram). I have photographed her before at Wizard World Philly as Esmerelda and at Anime NYC as Queen Ravenna From Snow White and the Huntsman and was thrilled when she was able to visit me in Ohio. We photographed Queen Ravenna again and also photographed her Catwoman Ant Lucia (DC Bombshell, Audrey Hepburn-ish). My newest cat addition SammyBlu was intrigued by her Catwoman. Some of you may remember SammyBlu who my daughter and I adopted from Purrfect Day Cafe (a cat cafe) while we were in town at Louisville Supercon.